DALI bus-mastering protocol is the intelligent lighting master match using with the dimmable ballast before , used to adjust the lighting scenarios of the fluorescent. 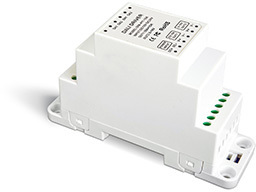 DALI LED dimming driver launched by our company adopt the newest DALI standard IEC62386, can connect any equipment that accord with DALI protocol to 1 DALI bus-mastering , which realize the LED lighting products and traditional lighting integrated in the same lighting system , greatly facilitate the users. Posted By: ZHUHAI LTECH ELECTRONIC TECHNOLOGY CO., LTD.
Business Description: We make the world colorful! Zhuhai Ltech Electronic Technology Co., Ltd. Is a high tech company which is dedicated to develop LED controller series independently. We're the leading company in China who has engaged the first in the R & D of LED lighting control technology. With 12 years' experience in LED field and powerful R & D capability, "LTECH" product has been enjoying a high reputation among valued customers worldwidely. We insist on "Good faith, Technical Innovation" management concept and take customer's demands and product innovation as our goals. Successfully running ERP management system to upgrade the overall management level, Plus our efficient staff team, Full scale import procedure of lead free environmental protection complied with RoHs standard, advanced production facilities and technics, perfect quality management system(already passed ISO9001 certification), we can create value for our customers as well as offer the first class quality products and the best solutions to them. Any new idea or suggestion to our products is highly appreciated, we will reward any customers who offer us reasonable suggestions and great support, your new idea will be integrated and come true in our future new products.